A dangerous new waste stream is rapidly emerging. Backyard, to investigate the global sales of electrical and electronic products and assess the amount of waste arising from this. 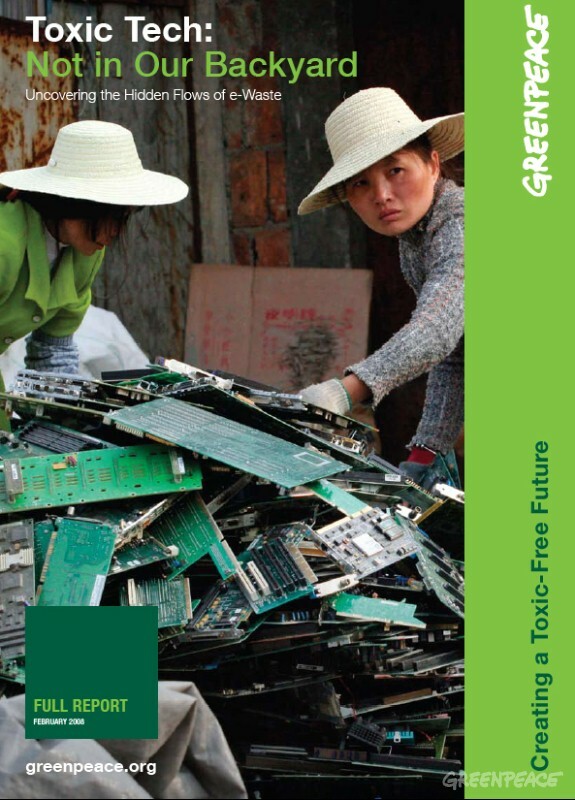 A Greenpeace report about the amount of global waste from electrical and electronic products. generated worldwide each year, comprising more than 5% of all municipal solid waste. The fate of large quantities of this so-called e-waste is unknown. This “hidden flow” is the e-waste that escapes responsible collection, reuse and recycling systems and as such is unaccounted for.